Say “HI” to new look and novelties in the world of glam. Famousmoviejackets.com has always taken the care of customer respecting their needs and demands. Offering you now the contemporary and up-to-the-minute external wear from Avengers Infinity War. Hence, this superlative costume jacket is an inspiration from the Avengers Infinity War and costumed by your favorite superhero Spiderman. 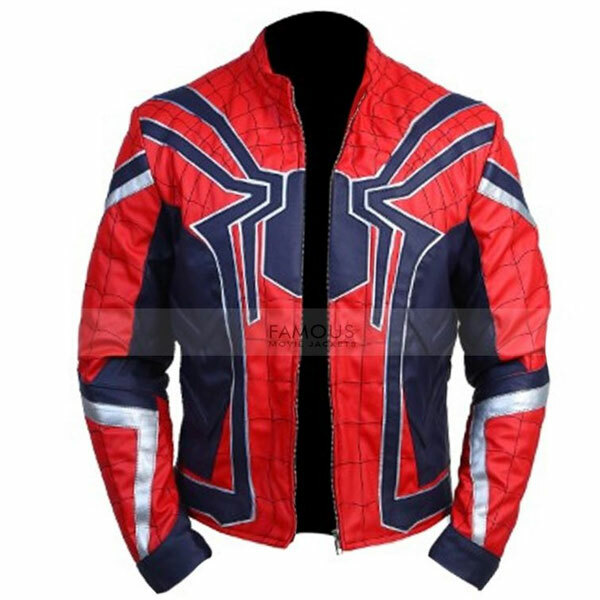 This Spiderman costume jacket is made from 100% pure leather material externally and inner viscose lining is sewed for the pleasure of wearer. The vivid red and blue hues with the front spider logo is alluring providing a superhero sensation in your persona. 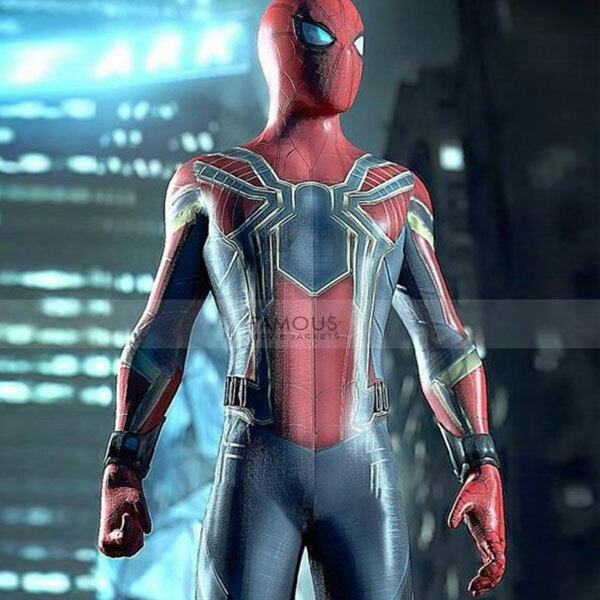 This Spiderman Infinity War jacket is remarkably distinctive because of web detailing on the outfit. Simple round neckline, YKK zip closing midsection and long sleeves with knit ribs bands provide your biker looks mesmerizing. This Infinity War Spiderman costume jacket needs nothing with it but a fitted solid inner and your favorite denim. Grab your style now before any of your friends does.